I get a big charge out of reaping extra sales from one garage sale purchase. It's fun to look inside a box you bought and find an additional item that you can sell on eBay. Kind of like finding that prize inside the Crackerjacks box! But you have to keep an open mind to see these opportunities. What you might normally overlook as a mundane item can be highly sought after by collectors! Case in point, not long ago I bought a 1960's era plastic military tank model. It was pretty cool looking, great graphics on the box and all un-assembled which model collectors love. There was even an old tube of glue inside the box. The seller charged me a buck for the model. Not much money to risk so you have to buy it right? I threw out a dollar bill and took the tank model home. Well, I ended up selling the tank on eBay for only six bucks. Not huge money, but a few extra dollars for me. 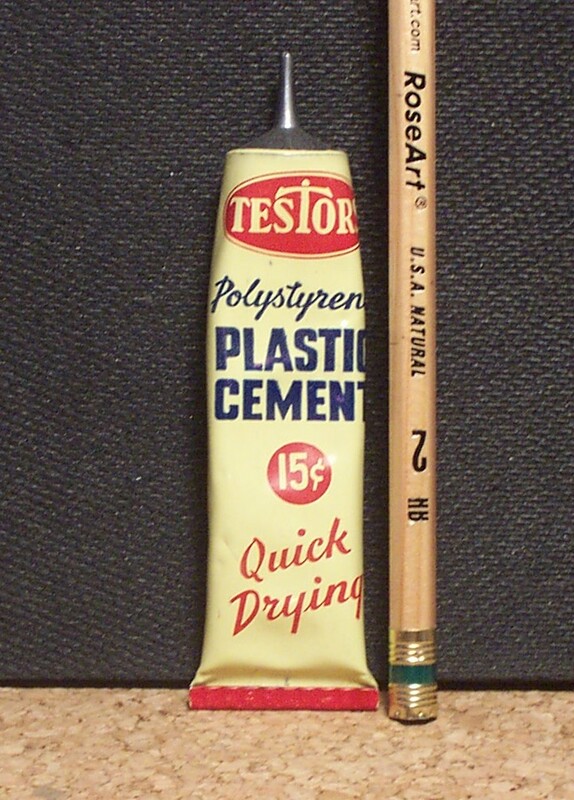 But wait, remember the tube of glue? I didn't send that along to the buyer when I sold the tank...no way! Just like the tank model, this little tube was old and dated back to the early Sixties. Could there be a market for old model glue tubes? Can you believe there actually is? My eBay research showed collectors will pay five to ten dollars for them. (Seriously, who collects model glue? Do they build fancy display cases and show them off proudly?) But I am not going to judge... I am just here to make some money. So I took a photo of the old tube and posted it on eBay. I made it clear in the description that the glue had dried up after all these years. Basically the tube was for display purposes only. (If that's what you're into...LOL). The glue tube collectors of the world apparently took note of my auction; that little tube sold for a high bid of $23! This was almost four times more then the model itself! So an afterthought found inside the main item actually sold for more... an awesome concept! So keep an open mind and look through your stuff carefully after you buy it. Maybe you have that extra Crackerjack surprise inside that brings you extra cash you weren't even counting on! Have you ever found something extra and flipped it? Let me know and I'll pass it along! 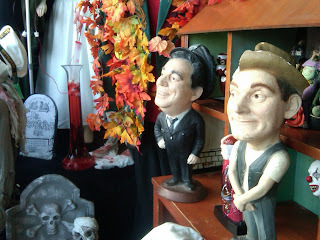 On one profitable Saturday morning, I walked up to a garage sale at a big beautiful house. There were lots of people milling around and I recognized the owner. He was a local school board member and I chuckled to myself as he feverishly ran around pulling stuff out of his packed garage. He seemed overwhelmed with trying to sell his accumulated treasures, while at the same time glad-handing locals who arrived to check out the goods. Overhearing his conversation, I learned he had just sold his lakefront house. The only hitch in the sale: he had to vacate and move out quickly. There can be no better garage sale then an owner who has to "bug out" fast. These folks are primed to let their stuff go cheap! On top of his emergency fire sale, this guy was a true pack rat. His garage was loaded with boxes of stuff he apparently could not part with...until now. This was a perfect storm for the garage sale shopper ! Walking around his stuff, I nearly tripped over this huge gas powered model airplane. It was big and beautiful. I asked Mr. School Board member what he wanted for the plane. Still politicking with some local voters, he looked over to me and said “How about twenty bucks?” Something this big and unusual is always a winner in my book, so I didn't dicker over this already low price. I peeled off twenty and walked the plane down to my truck. But when you've found a good fishing hole you have to go back...my work here was not yet complete! I wandered through his garage some more and found three old high school yearbooks from back in the Seventies. I also found three local town commemorative pewter mugs and one pewter plate. Stacking the plate, mugs and yearbooks into a pile, I asked Mr. School Board what he wanted for each? He waved his hand at them dismissively, “Take them-they're free.” Huh? Did the guy think I had voted for him and this was my payoff ? Probably not, I think he was so overwhelmed with the task of unloading his years of accumulated junk that he was just happy to get rid of it all. Not being one to look a gift horse in the mouth, I thanked him and headed off to my truck with all my free booty. I have since sold the three mugs for $15.00 each and the plate for $10. I sold two of the Yearbooks for $35 each and still have one yet to sell. (High School year books can be a nice flip, more on that later) All that free stuff netted me $125 bucks and I still had my very cool plane to sell! 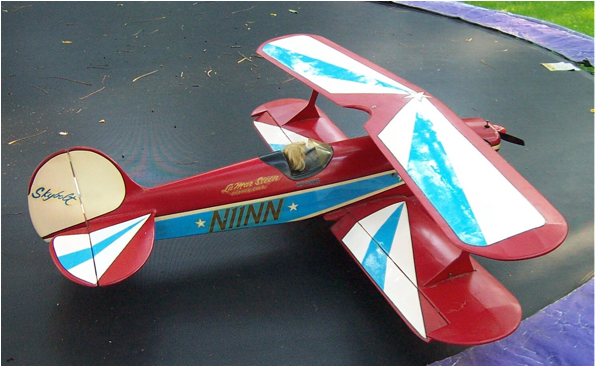 I decided to sell the gas powered plane on Ebay over Craiglist. I thought more potential buyers would find it and drive up the auction's final price. However, I made the auction “pick-up only” due to its bulkiness. The auction had over 50 people watching it and I fielded numerous e-mails begging me to remove the "pick-up only" requirement. While it would have meant an even higher closing price, I decided against doing it. I did not want to get involved with the complicated hassle of taking the plane apart and possibly damaging it. So it stayed "pick-up only" and I still did pretty good in the end... my twenty dollar plane ended up selling for one hundred dollars! So in all, I made $225 dollars on a garage sale that cost me a single twenty dollar bill. Not bad for a Saturday morning walk up a driveway!